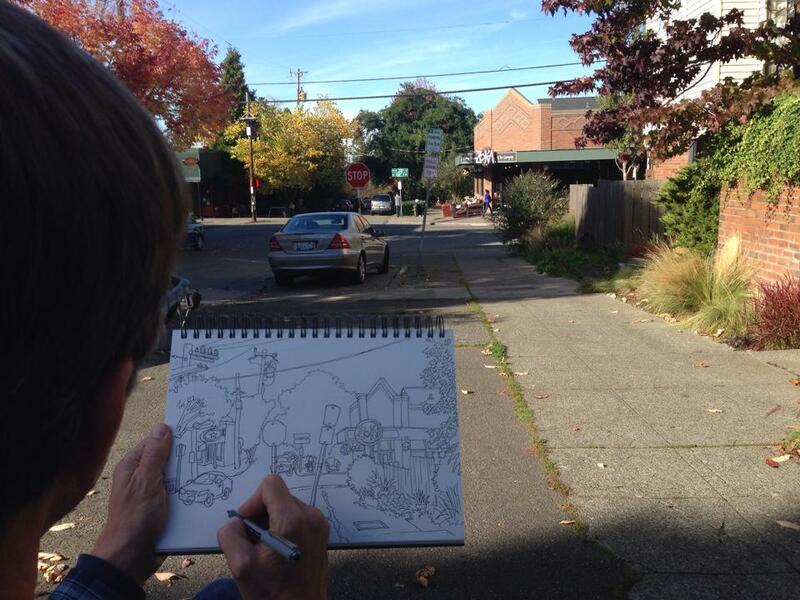 Urban Sketchers Seattle: Zoka's in Tangletown near Greenlake. Zoka's in Tangletown near Greenlake. 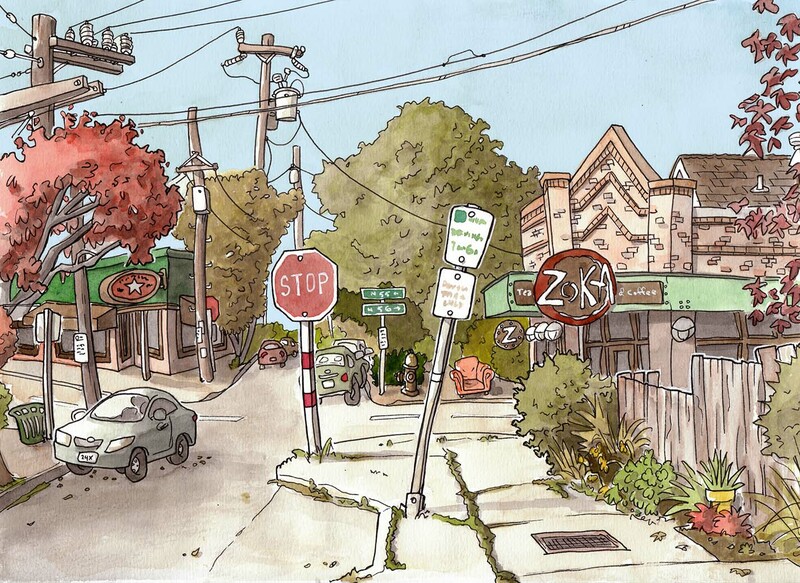 Since moving a mile south of our old place, Zoka's has become our morning stop on the 2-mile walk to the gym. They've already memorized our orders, and often give us multiple punches on our frequent-flyer cards. Most importantly, the music is low-key and the atmosphere library-like, though the many bookshelves are oddly empty. 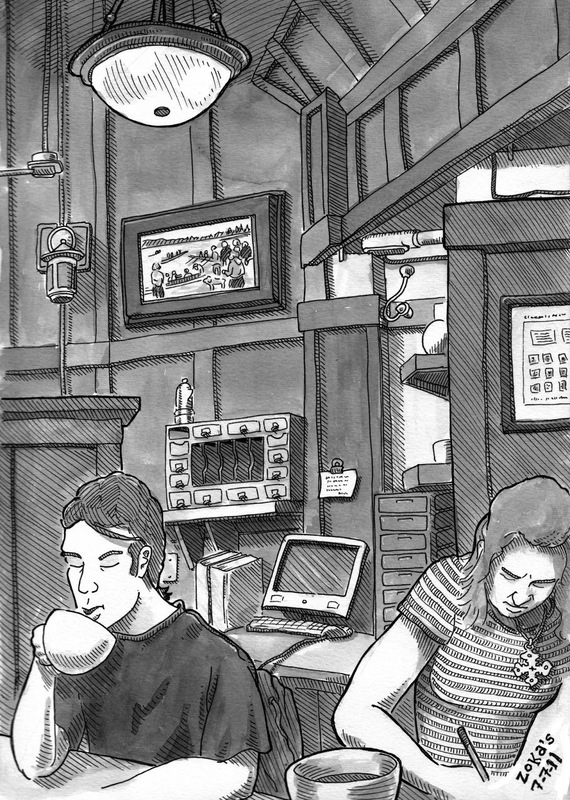 I drew the interior years ago with the Sketch Pistols, another Seattle area drawing group.